The 2019 Summer Mission Trip location is Louisville, KY, from June 16-21, 2019! If you are interested in attending the trip, please contact Mike Hoendorf, or bring a completed registration form found below to the parish office with your $100 deposit. 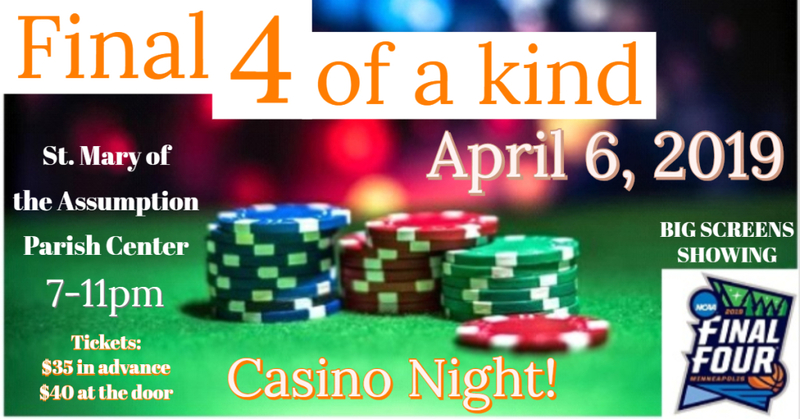 Support our Summer Mission Trip by Attending our Inaugural Casino Night Fundraiser! Each summer St. Mary of the Assumption Youth participate in a summer mission trip. Most recently they have been attending various Catholic Heart Workcamp sites around the country. Some of these sites have included Nashville, TN, Mishawaka, IN, and Champaign, IL.